Brown’s Quality Automotive Service specializes in repairing import vehicles such as Lexus Service and Repair. 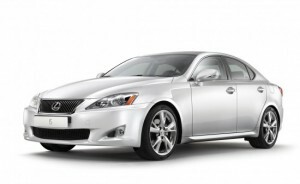 We have Manufacturer Factory Trained mechanics and are ASE Certified for Lexus Repair. Don’t pay the ridiculous rates that the dealerships charge to work on your Toyota or Lexus. Our auto repair services are manufacturer compliant and will keep your manufacturer warranty in tact. Brown’s specializes in affordable pricing, with a focus on maintaining our customers vehicles to reduce overall maintenance and repair costs. We are a full service repair shop. Scheduled manufacturer maintenance services, Brakes, electrical, Oil change, Struts are just some of the services we provide. Brown’s Quality Automotive Service specializes in repairing import vehicles. Our technicians have been factory trained and are ASE Certified Mechanics for your peace of mind. We you have your vehicle repaired at Brown’s Quality Automotive, you can rest assured that your vehicle is being expertly repaired, and that only top quality, OEM parts, or better are being used.